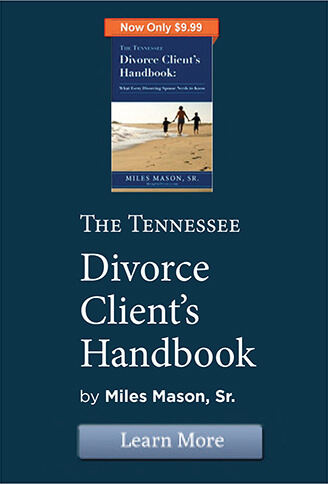 An overview and introduction to Tennessee divorce strategy from divorce attorney Miles Mason, Sr., Miles Mason Family Law Group, PLC serving clients in Memphis, Germantown, Collierville, Bartlett, Eads, Cordova, and west Tennessee area. 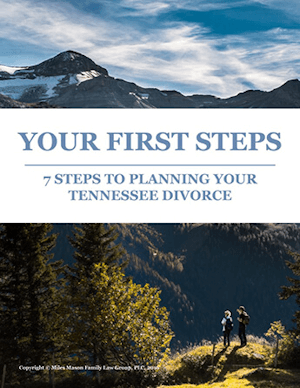 When a client enters a Tennessee divorce attorney’s office for the first time, the client’s natural tendency is to ask about what he or she wants to know. The client should, instead, first learn what the client needs to know. Often very beneficial, these simple advice nuggets, from a Memphis divorce attorney can make the difference in a divorce. Remember: divorce is usually backwards. For example, one spouse is usually trying to prove that he or she does not have any money or did not commit adultery. This essay attempts to offer a very basic introduction into what can be very complex. It is not intended as a substitute for seeing a lawyer and is not legal advice upon which anyone should rely. A. Advantage – filing first. Once the decision to get divorced is made, timing is important. The person who files first is the plaintiff. The plaintiff can have procedural advantages by directing the case in its early stages. This can often lead to a stronger negotiating position. In addition, if there is a trial, the plaintiff’s lawyer will argue first, which can be an important persuasion advantage. B. Beginning – Hiring the attorney. One of the most important early decisions will be which attorney to hire. Generally, there are many from which to choose. Be careful with this decision because it occurs about the same time the decision to divorce is made. Interview more than one lawyer by setting an appointment for a consultation. Most family law attorneys charge for consultations, but the time and effort are well spent. Ask tough questions. Ask prospective attorneys about their past experience dealing with problems which are of particular or immediate concern. Initiate discussion about fee structures, including detailed questions about hourly rates, flat fees, expenses, and billing policies. Only hire an attorney if there is a written agreement spelling out the terms of the relationship. Keep a copy of it. Membership in family law sections of the local, state, and American bar associations demonstrates commitment to the practice of family law. Finally, inquire about the attorney’s policy for returning phone calls. An attentive attorney should be able to return phone calls within twenty-four hours every time, or at least have someone from the attorney’s office return the call promptly if the attorney is out of town or in trial. C. Cash is king. The result of a divorce will depend upon many factors, including but not limited to the skills of the lawyer(s); the judge; which party is more angry; what known assets and debts exist; what unknown assets and debt exist; separate property brought into the marriage; the parties’ relative earnings; and the education, age, and number of children, as well as their stage of development. There are many other factors, and there are never any guarantees. In some situations, cash will be the most important asset because most people do little financial planning for divorce. D. Debt – very important to understand this. Despite a settlement agreement for one spouse to pay a debt that is in both parties’ names, if the party responsible for the debt does not pay it, the other party can still be liable for the debt. E. Eternity is a very long time. How long do divorces take? Sometimes it may feel that a case can last forever. Only two roads exist to getting a divorce: settlement or trial. In most states, if the case is settled, the parties generally agree that the divorce will be awarded on grounds of irreconcilable differences. Even if there is an agreement, most states have a waiting period. In Tennessee, the parties must wait at least sixty days – ninety days if they have children. There are two sources of “delay.” One lawyer is generally waiting on the other lawyer to produce documents, respond to a settlement offer, or just return a phone call or letter. This can shift back and forth several times during the case. The other source of delay occurs when the parties are waiting for a court date or a decision. F. Final divorce – what is final? The court ends a case by signing a final order. After the final order is “entered” in the court’s docket, an appeal period, usually thirty days, begins to run. After that appeal period runs, the divorce is finally final. Nothing could be worse than getting married the day after the judge signs the final order, only to find out a week later that the former spouse has appealed the case. G. Grounds. If the parties cannot agree to a settlement, there will be a trial. In most states, “grounds” must be proven. In Tennessee, examples of common grounds include adultery, habitual drunkenness or abuse of narcotic drugs, abandonment, and cruel and inhuman treatment, which may also be referred to as “inappropriate marital conduct.” Sleeping with another person, even after separation, can give the other spouse grounds for divorce. H. Homework. Set aside time to “work” on the divorce. The client needs to collect important documents, read the material the lawyer provides, and explore divorce recovery options, such as counseling, recovery groups, and self-help books on coping and financial advice. I. Implications. Criminal and civil implications exist when taping any telephone conversation. Contrary to popular belief, taping conversations is a complex legal situation. Remember that authorities considered prosecuting Linda Tripp for taping the Monica Lewinsky conversations. 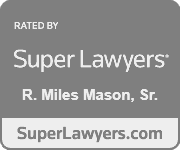 Explore this issue with the attorney carefully before doing anything. J. Jumping on the documents. Examples of papers the attorney will need to see include federal and state income tax returns (including copies of W-2’s), pay records for the current year, financial statements, employment contracts, explanations of benefits, and all canceled checks and credit card charge records for at least the last twenty-four to sixty months. Be sure to make copies of anything that might be important before it disappears. K. Kids. Make every effort to spend time with the children during this difficult period. Learn everything possible about handling the tough questions that will come. Never give children “messages” to deliver to the other parent. Always remember that intentional alienation of children’s affection toward the other parent is a charge no one ever wants to defend in court. So never call the other parent the words that come to mind if children can hear, even if the words are true. L. Loving children and custody. The term “custody” no longer exists in Tennessee law as of January 1, 2001, replacing the concept with a Parenting Plan objective. Final decision-making authority still exists, generally possessed by the Primary Residential Parent. Tennessee ‘s parenting plan law requires agreement on many specific important details with respect to the child’s life in order for the parents to receive a divorce without a trial. Mandatory alternative dispute resolution is required as well. Early decisions may be the most important because they set the direction from which a contested case proceeds. A parent wishing the child to reside primarily with him or her must learn a great deal about the procedure and be guided away from poor decision-making. M. Monsters in the closet. Once the lawyer has been engaged, never withhold information. Most of the time, when a client is afraid to tell the lawyer something unfavorable to the client’s case, it either turns out to be something not to fear or turns out to be manageable if given prompt attention. Waiting until the last minute to talk about a problem can cause bigger problems. It is better to plan for the monster in the closet together than to wait and see the look of shock in the lawyer’s eyes if and when the monster emerges. N. Nice. When in doubt, be nice. When a soon-to-be-former spouse asks a tough question, just be calm and friendly, finding a nice way not to decide right then. Call the lawyer, discuss the situation, and then respond. There are about a thousand reasons for this advice. For example, think about buying a car. If a car shopper asks a salesperson to quote the “real” price of a car, and the response is $15,000.00, the shopper will likely be disgusted if a sales manager later says the price is really $18,000.00. Most shoppers will regret negotiating with a car dealership that deals in this deceptive manner. The same thing applies to a divorce. Never tell a spouse that settlement can be reached about part of the divorce if later it could turn out to be a terrible deal in light of something else that has not yet been negotiated. Plus, backing out of an agreement could destroy an important negotiating position later. O. The Odyssey – the “novel.” Before the lawyer can advise the divorce client properly, the lawyer must have all the facts. Many times, the lawyer will ask the client to write down everything that is, or even might be, important. Writing this “novel” can be a learning experience for the client and lawyer. Also, tell the lawyer about any and all suspicions. For example, “My spouse took a trip to Orlando last spring and didn’t take the children.” This could lead to important deposition questions under oath inquiring whether anyone accompanied the spouse. P. Price – attorney’s fees and expenses. There are different types of costs in divorce cases. The largest cost is attorney’s fees, which is the charge for the work done on the case. 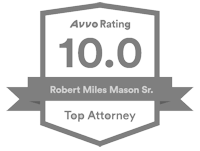 Most attorneys charge for their time in addition to all other costs and expenses. Some courts rarely, if ever, award attorney’s fees to either party. Court costs are the fees that are charged by the court for the filing of the divorce and various other events. Q. Quicker and cheaper is not always better. Some consider one attorney representing both parties in a divorce a serious conflict of interest. Ethics mandate attorneys to honor the highest degree of loyalty — but to which client? In situations where only one party is represented, the unrepresented party who is waiting to hire an attorney only after signing a divorce settlement might be undertaking the ultimate adventure of moving deck chairs on the Titanic. R. Real estate – commonly a difficult problem. The parties getting a divorce have a number of options when it comes to the martial home. Many options proposed may only be good for one of the parties, especially if one party is left without ownership rights but still owes the mortgage if it later becomes delinquent. Refinancing is always an important consideration. S. Support – child support and pendente lite support. In Tennessee, a motion for pendente lite support is a legal process by which a dependent spouse may receive child support, alimony, or attorney’s fees pending the litigation. Most states have a rigid formula for calculating child support. These formulas for calculating child support can differ dramatically in results from state to state because they often consider different factors. Tennessee now considers the income of the primary residential parent. Understand that “net income” is not necessarily the same as taxable income, but it can be. Calculating child support for a self-employed person can be especially challenging because a particular state’s definition of gross income and allowable deductions do not necessarily mean the same as that under federal income tax law. Tennessee recently enacted new law allowing credit for support of the obligor’s other children. T. Taxes. Be sure to have a CPA review a proposed settlement before signing it because tax laws will often seriously impact the settlement. Tax treatment is rarely stated in a settlement document. Subject to many qualifications, paid periodic alimony can be deducted by the paying party, but it will then be taxable to the receiving party. Child support cannot be deducted by the paying party, but will not be taxable to the receiving party. Further, there are important new tax laws to protect innocent spouses who have signed fraudulent federal income tax returns. U. Unfortunate, but sometimes necessary – contempt proceedings. When a party violates a term of a court order, the court can enforce the order after the harmed party files a petition for contempt asking the court to order the violating party to serve time in jail or pay money. This can be emotionally painful and expensive. Try to work out small differences. Problematic situations may require the lawyer’s attention. V. Visitation. Even though the word “visitation” has been replaced by “residential time” or “parenting time,” it is still in common usage. If the parents can agree on a visitation schedule or parenting plan, the court will usually approve the agreement if it is fair. A common, simple schedule is for the non-custodial parent to have the children on alternating weekends, for a few weeks in the summer, and on alternating holidays. There are many other provisions, however, a family lawyer may suggest. If the parents live in different cities, a special plan must be created. If one parent is moving the children away from the other parent, most states have specific laws concerning this situation. Removal issues are very important in Tennessee, and strict new laws apply that must be considered carefully and in advance of the move. W. Working with clients is what lawyers do. A family lawyer does three things for a living: communicate, negotiate, and eliminate variables. Keep in mind that the lawyer cannot read minds. The lawyer does not always know how much the client knows or wants to know. If the client thinks a question is important, it is. X. The X factor – trust. If a divorce is settled, the divorcing parties may not always get what each deserves, but each party will get what is negotiated. Attorneys are professional negotiators. Many attorneys will advise clients not to try to negotiate their own divorce. Feeling comfortable that the attorney has the best interest of the client in mind may be the most important factor in helping to steer the client away from trouble. Without trust, communication breaks down. While maneuvering through the legal minefield of divorce, the client should rely upon the attorney’s advice. If the client makes a decision against the advice of the attorney, do not be surprised by the sounds of explosions. Y. Yesterday has already passed. The issue is what to do tomorrow about getting on with one’s life. Getting a divorce is very painful. One of the best books available is not a divorce book, but a book about changes in life — New Passages, by Gail Sheehy. This is not a self-help book filled with happy talk. Rather, it is a collection of stories about men and women moving through life’s stages. Discovering that feeling anger, shame, loneliness, or guilt is shared by others going through life’s changes helps one to face important issues that come and pass during and after a divorce. Z. Zero revenge. Do not try to exact revenge from a former spouse. Like most situations, the best revenge is living a successful life.